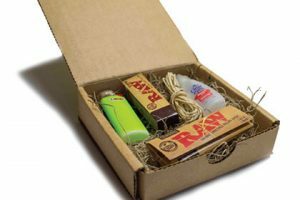 Cratejoy’s LitPact offers subscription boxes designed to suit the needs of a vast variety of smokers. You can choose from as many as 8 distinct box types that differ in the number and quality of the items they allow you to enjoy every month. The smallest box is the LitPact Mini. It contains 5 items, such as papers, tips, lighters, and doob tubes, as well as small glass pieces. The price is $8.99 per month. 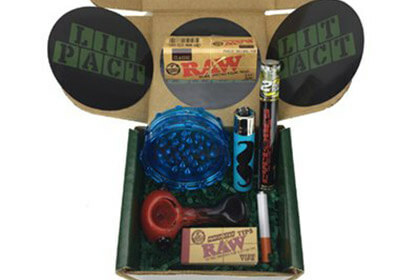 The LitPact Lite box is slightly larger and contains up to 7 items, including all the essentials you need during the month, plus awesome gear. It costs $18.99 per monthly box. 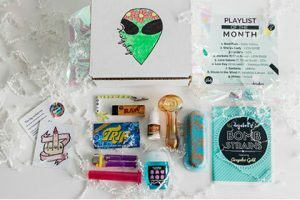 With the LitPact OG box, you get 10 to 15 different items every month. You can expect to get smoking basics, accessories, and gear, including rolling papers, pipes, grinders, lighters, and more. The price per box starts at $38.99. The LovePact OG box also brings you 10 to 15 items worth around $100 in retail. It can include doob tubes, wraps, grinders, rolling trays, all kinds of glass and pipes, and much more. The price starts at $60 per box. If you want to receive more products, you can opt for the larger version of this box, the LovePact XL box, which contains 20+ products and costs $88+ per month. 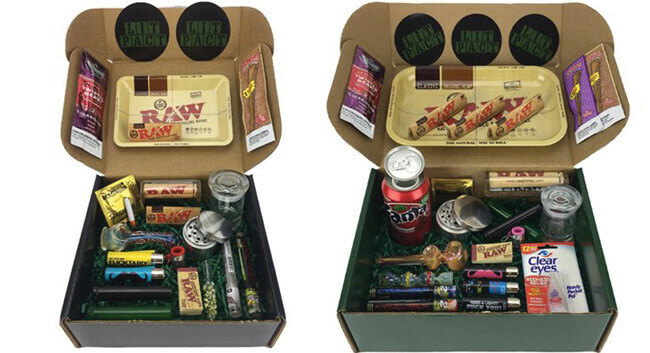 The LitPact Premium box contains 20 or more items, including hand pipes, rolling trays, grinders, stash cans, papers, wraps, lighters, tips, eye drops, doob tubes, and other handy items. The price starts at $78.99 per month. Finally, you can opt for the DabPact box, which comes in two sizes. The DabPact OG box is delivered every month and contains mini torches, mats, cool glass, and more. The price is $99+ per month. The larger version of this box is the DabPact XL box, which costs $149.99+ per month and is shipped every two months. It brings you rig water bongs, nails, torches, dabbers, wax containers, wax pens, dab mats, and tree conversion bowls. 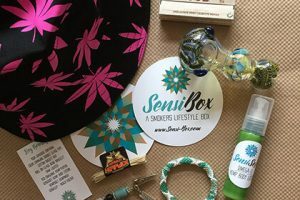 If you want to try out the products before subscribing, you can purchase single boxes in the LitPact online shop. Our ratings are the result of an objective and independent evaluation of LitPact, generating the final rating that reflects the overall quality of the product. Ratings may change as the service changes. No user reviews yet! Be the first to review LitPact. We found 0 verified LitPact promo codes for April, 2019. There’s no LitPact coupons or discounts right now.